Merhaba! Welcome to my first Egypt travel entry on the blog. 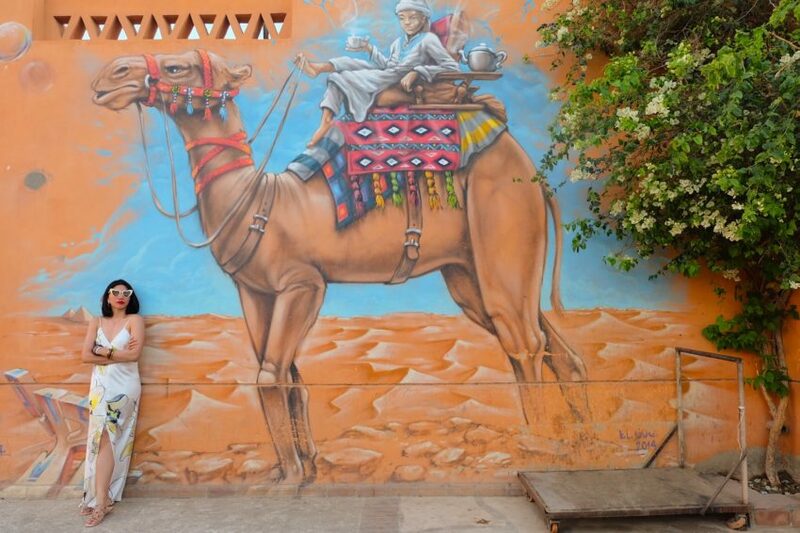 My friend Carol and I were having a hard time deciding where to go for our first trip together (see this post), but luckily we found a sweet spot in Egypt when Expat Explore threw us a very good coach tour deal last November. Our immersive 9-day Nile Adventure basically started in Cairo, going all the way down south to Aswan then moved up to Luxor to Hurghada and back to Cairo. So where is El Gouna you may ask? Hehe. Allow me to back up a bit. Our 2nd to the last day in Hurghada was a relaxing free-day in an all-inclusive Red Sea beach resort. Most of the people in our tour didn’t pass up on the chance to snorkel/ dive on the Red Sea and it’s an optional activity that we skipped entirely. As both open water-certified scuba divers, Carol and I were thinking we would sorely regret this choice someday (best coral reef dive spots, I know I know 🙈 ) but I don’t think it’s something my Asian body can take on an 18 deg weather. I mean, I tried scuba diving in a cold January somewhere in Batangas some years ago and let’s just say it’s already my threshold for the word “freezing”. 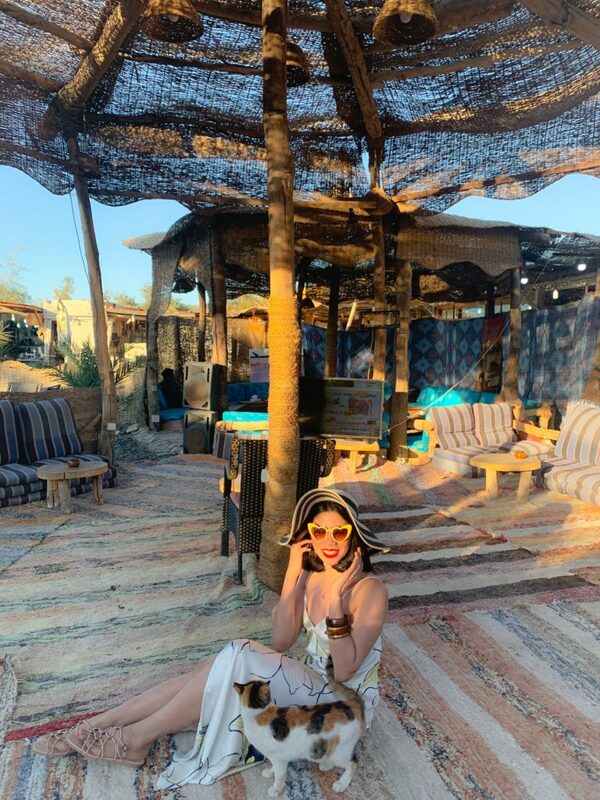 After getting us some Red Sea shoots by our resort, we spent the afternoon exploring a self-contained resort town in Hurghada named El Gouna that is owned and developed by an Egyptian billionaire. It has a different vibe from the usual Egypt chaotic scene (meaning I can finally wear my strappy dress sans my inner cover without fear of getting attention ) probably because most of the staycationers in its 16 hotels are mostly Europeans on package tours. 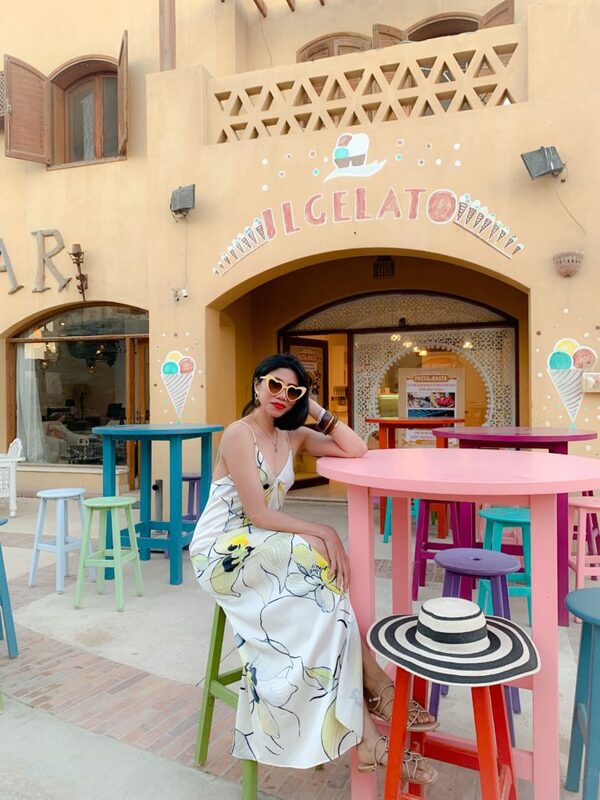 We did a bit exploring of the colorful downtown area where there are plenty of boutiques and charming restaurants with al fresco dining set in a contemporary african arabic architecture. There are plenty of activities too offered in the area aside from scuba diving such as golfing and kite surfing. 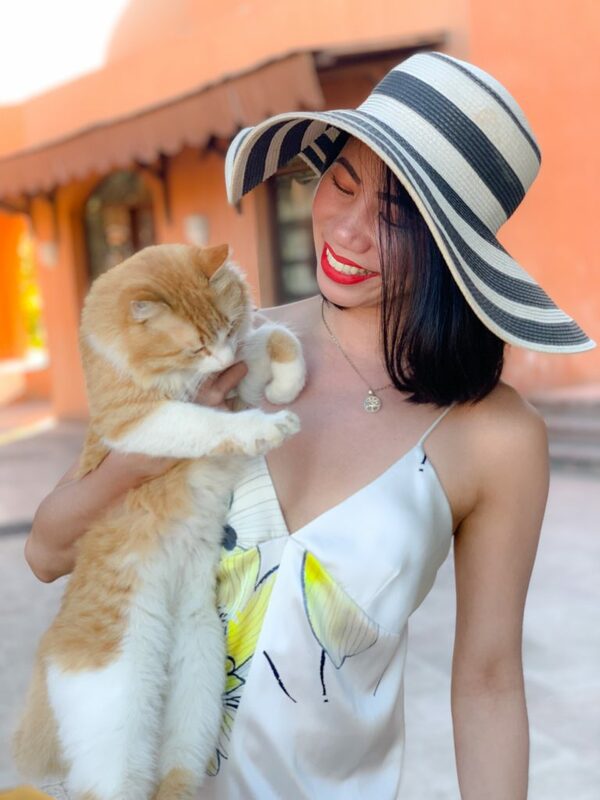 But what most websites don’t say about El Gouna is that this is the place where you’ll find Egypt’s most adorable furry cats. I swear, they could’ve converted me to a cat person if I stayed long enough.